The largest luxury residences make demands of their developers, above all intimacy, privacy and of course impressive comfort and performance. The attention to detail required is in demand – with an increase in premium high end apartments, this has also moved across to new developments for the aging population who have the financial backing and benefit of years of experience to not want to be negatively impacted by noise and nearby owners. Peace and quiet are highly relevant to emerging luxury property markets currently reshaping the global landscape.1 This trend is not set to drop and a developing niche within - the luxury aged care market - involves greater attention to detail, “better aging”, less stress and better quality of life. 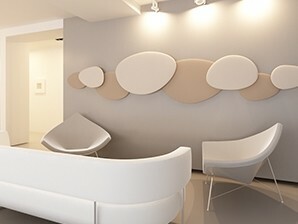 Reducing sound transference – and quieter living naturally becomes a focus area, where proven soundproofing materials can provide solutions to high end individuals who require the best. Higher wealth individuals have a choice – choosing to move to facilities within contemporary living communities. For over 65’s they are certainly increasing in number with statistics supporting the notion2 that as the population age, the market for quality and luxury will continue with it. The best retirement homes –within future smart cities – are a hub of modern information and communications. Some rival the smartest apartment living in any global city – and why wouldn’t environments this considered, not have owners who would benefit from acoustically considered living areas, who strive to protect the sanctuary of private areas of the home, their bedrooms and bathrooms? In the luxury “smart home” market – the number of active households is expected to jump to 44.1m globally by 2020. 4 Smart homes – and their audio– it is expected to empower and allow residents to consider or demand even quieter living. Sound is wisely considered to be one of the major design elements. Troublesome acoustics can be easily solved via noise reduction methods as addressed by an experienced acoustic consultant. Unfortunately, things like expansive proportions, kitchen appliances, luxury carpet, etc. are valuable inclusions readily apparent to potential purchasers, however those that they can (or cannot) hear are not typically perceived. Despite this, savvy purchasers will pay premium for luxury, so it is wise to consider intelligent ways these needs can be met. What if simple consideration was made in the beginning to include adequately designed soundproofing, to futureproof residents from requiring structural refurbishment if noise becomes an issue after construction? Acoustic treatment is often the most under-rated, yet over-needed component of a construction project – whether that project is luxury residential or otherwise. Too often it is not considered until after noise travelling through the spaces affects the comfort level of residents. Pyrotek is the market leader in manufacturing expert acoustic solutions with more than 45 years’ experience. With support from a world-class team of skilled engineers and scientists they bring a wealth of knowledge to noise control. Developers of Soundlag ™ and Wavebar®, Pyrotek are known for longevity, effective solutions and local supply.